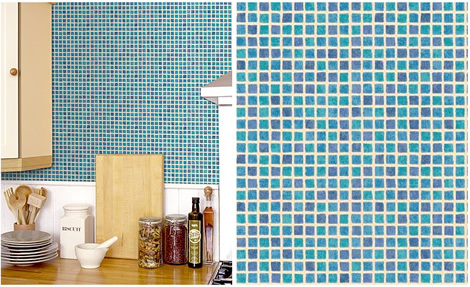 I recently discovered this mosaic tile wallpaper from Graham + Brown, and wanted to ask you for your thoughts on this look in a kitchen or bathroom. Do you think it's a good option for those that may not have the budget to sink into the real thing? It's available in these cool blue tones, as well as creams, pinks, and various shades of brown. So, what do you think of this as an alternative to tile? Would you use it? Coco Ribbon - Sweet Gifts from London!